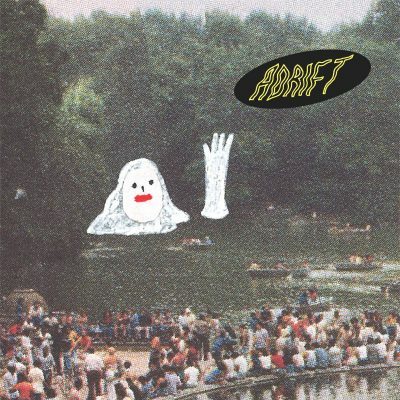 Dreamy effects, subtle droning vocals, and a vintage atmosphere, make up the sound that Men in the Kitchen have produced so masterfully and with the release of adrift that hasn’t changed. Through a cloud of shifting samples, adrift is a haunting manifestation of finding purpose through melancholy uncertainty. The opening track, “You,” is a dreamy expression of feeling alone and without a meaning outside of a singular person, opening with a subtle gust and a faint beat from a drum machine. With lyrics talking about being lonely in a city full of people, the track speaks to the idea that it’s not where you are that creates comfort or happiness—it’s something you need to feel in yourself. As adrift continues, the song “in the garden” stands out, as an instrumental track with its looping synths that create a minimalistic sound, allowing itself to be listened to completely barebones with ease. Next comes “death,” a vintage-sounding track that is distorted and dreary in all the right ways. The vocals are delivered with an amount of despair that feels hopeless and are paired with distant drums and a cool, calm bass line—it’s a must hear. adrift closes out with “re: collection,” another instrumental that is so minimal it is basically lowercase music. By featuring slow, subtle note changes with minor-pitch changes that come in later is a perfect, eerie track to send this album off.